How’s the weather outside? If you ask the internet, or you ask the weatherman, you might get an okay approximation. It really depends on how close you are to their weather sensors. Because weather conditions typically aren’t identical across large regions, like cities. 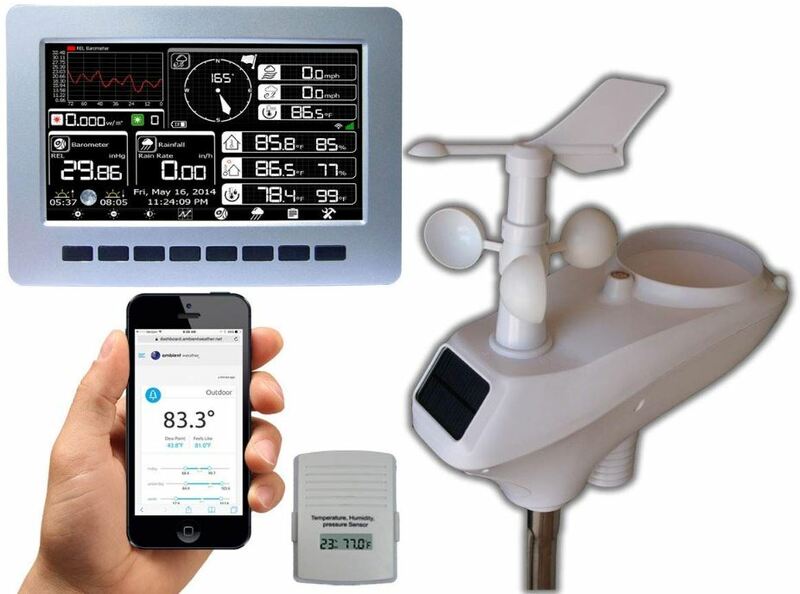 Having your own weather stations can give you a better idea of what’s going on outside your front door. They can help you remain alert to dangerous wind chill or heat, and set environmental reminders to help you shelter your pets as appropriate. In many circumstances, they can provide a more reliable forecast than getting your weather from professionals. After all, you can take measurements where nobody else is taking them. 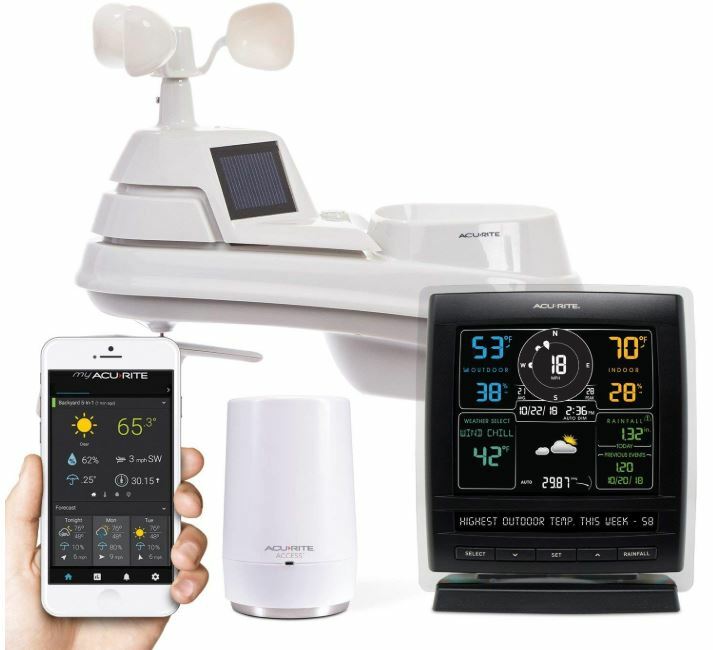 Selecting the right weather station is pretty simple, you just have to have a good idea of exactly what you’re trying to find. 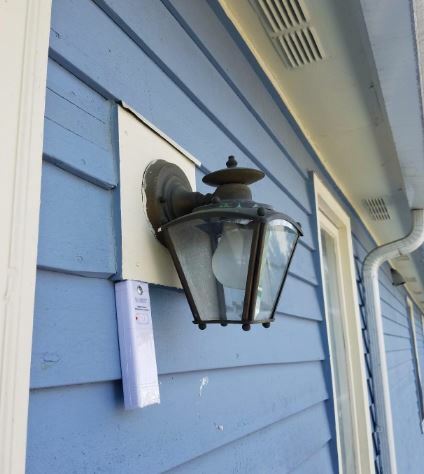 Simple home weather stations are great for people who want to keep an eye on the weather in their own neighborhood. However, people who are looking to meet scientific standards of measurement, or people who are interested in tracking more metrics than rainfall and temperature, will have to turn to more advanced equipment. 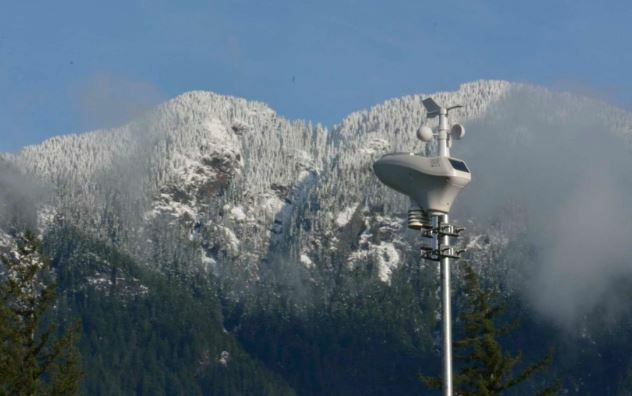 What kind of sensors does the weather station provide? Virtually every station will be able to measure basic things like temperature and humidity. 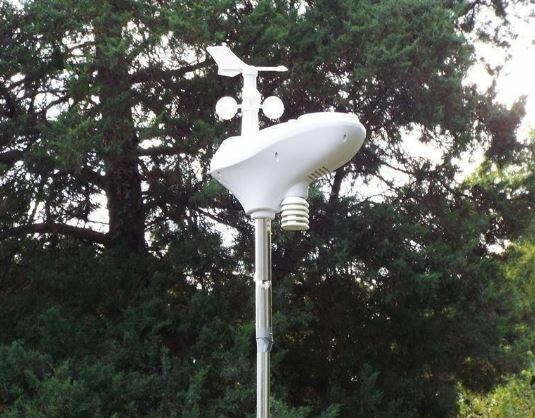 Some home weather stations provide much more, including information about solar radiation, rainfall, wind speed, and all the other information that local weather reporters might have available to them. When selecting an instrument intended to take measurements, it’s important to ask how much accuracy you actually need. Greater accuracy means better sensors, which means a more expensive device. If you can get away with mediocre accuracy, you’re better off taking the lowest degree of accuracy you can still tolerate. In other words, if you’re only trying to decide if you need to wear a jacket, it’s okay if your sensors are off by a couple of degrees. However, if you’re taking scientific measurements that need to be recorded for posterity, then you’ll want your measurements to be within a tighter range of accuracy. 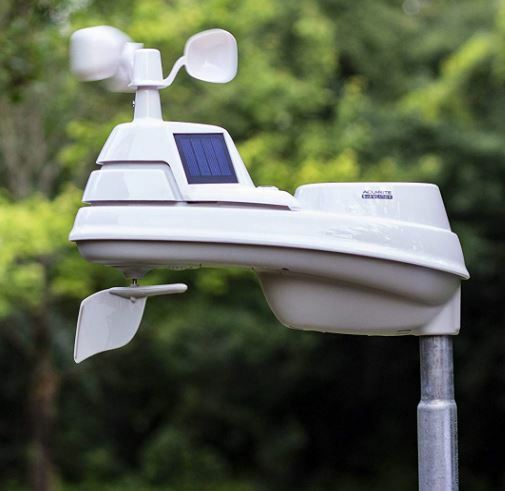 An all-in-one weather station will combine a complete set of sensors into the body of a single device. Alternatively, some stations allow you to separate your sensors to different locations. Sensors and towers tend to be water resistant, but should generally be positioned outside of direct sunlight if possible. Radiation from the sun is far more intense than the average person is aware. With a little time and exposure, the sun will give a sunburn to a person. It can do worse to electronics and sensors. Direct sun exposure is also a great way to tamper with your temperature data. The only exceptions to this are weather stations built specifically to measure solar irradiance. When you’re working with a simple home weather station, it’s unlikely you’re going to want to export your weather data. But if you’re collecting seven different weather metrics, there’s a great chance you’ll want that data saved and sorted. Which means you’ll need to consider included software, or the software compatibility for the weather station you have in mind. Most of the better home weather stations on the market will allow you to export your data to programs like Excel, though some go further than that. The AcuRite 01013M is a fairly impressive little monitoring station. You can get a sense of its customization potential by considering the fact it’s fully compatible with Alexa. 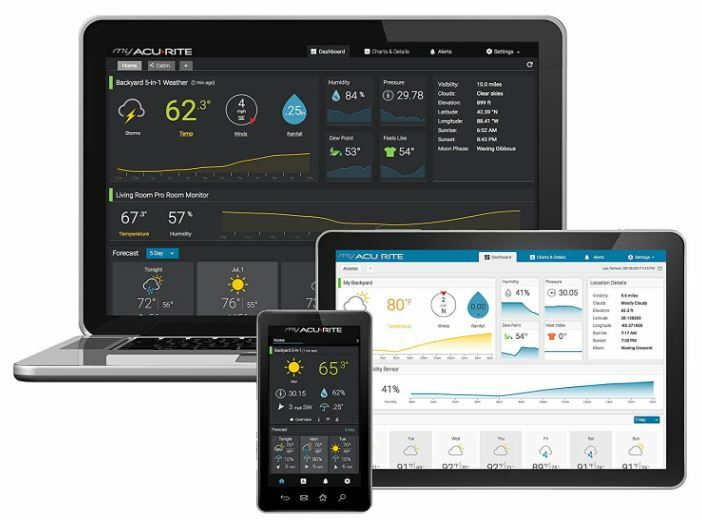 That allows you to issue commands like “Echo, Ask My AcuRite about my front yard weather.” You’re able to create customized alerts for weather which can be sent to your phone or email as needed. But that’s only a starting point. The 01013M weather station measures 2.7 x 6.7 x 8.2 inches, making it a pretty portable kit. Along the topside you’ll find some easily identifiable sensors, like a pair of wind cups. The white plastic chassis was clearly made to take some abuse from the weather, though the white coloring does make this machine bound to collect a layer of visible dirt. 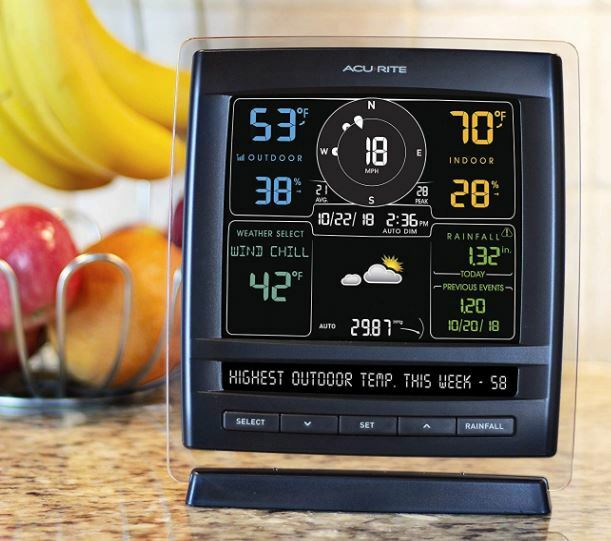 In addition to the weather station, this kit includes a viewing display. The display is somewhat high tech looking, with a translucent bezel that gives it a distinctive style. A full color displays highlights lower temperatures in blue and warmer temperatures in orange. The display is similar to the size of an envelope. The upper portion of its view space is dedicated to temperature and humidity information, outdoor and indoor. The lower half of the display is dedicated to wind chill, rainfall, and previous weather events. There’s also a photo towards the center of the display, which lets you get everything summed up in one image. The base of the display has five buttons which allow you to make some simple changes to the layout, change your time settings, and so forth. They are reasonably intuitive to use because there’s a full set of five buttons. You don’t have to fool around with multipurpose buttons, which can be confusing. This kit is also expandable, allowing you to connect a total of seven different AcuRite devices through the assistance of their AcuRite Access software. You can also share weather information through weather communities online. Whether or not you’ll want to expand your weather station, having the option is pretty neat. 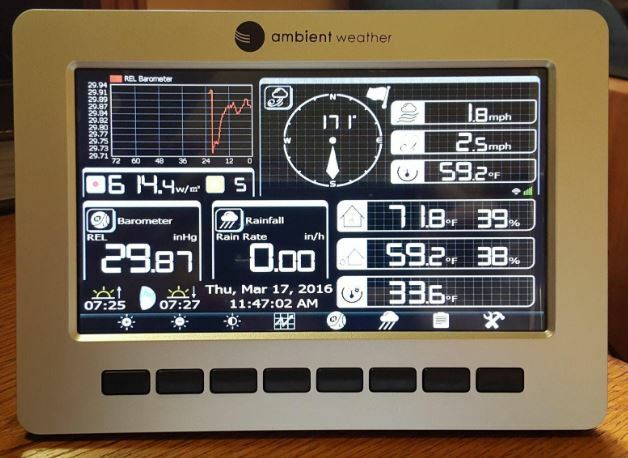 The Ambient Weather WS-1002 Observer is a solar powered remote monitoring weather station, complete with all the trimmings. The Observer can keep tabs on temperature, humidity, UV, rainfall, solar radiation, wind speed, and wind direction. It also keeps tabs on indoor temperature, humidity, and even barometric pressure. How is reporting managed? The data console can receive and send data across Wi-Fi transmitting at 915MHz. You’re also able to export data to Excel, or imbed reports online. And there are pretty extensive graphing capabilities baked into the app. The all-in-one nature of this station includes a solar collector, wind speed cuts, wind direction vane, thermos-hygrometer paired with a solar radiation shield, rain collector, and even a leveling bubble to help you ensure everything stays even for the accuracy of your sensors. This kit is actually composed of three distinct parts, the sensor array, console frame, and indoor sensor. The sensor array measures roughly 14 x 12 x 6 inches, the console frame measures 7.75 x 5.75 x 0.75 inches, and the indoor sensors measure 2.5 x 3.5 x 1 inches. Each of them are fairly compact and portable, and appropriately weatherproofed for the kind of exposure they’re bound to experience. To keep things powered, you’ll need to make use of two AAA batteries. Those batteries are not included. The outdoor sensor array uses three AA batteries, which are once again not included. The base station is powered by 5V DC charger, which does happen to be included. 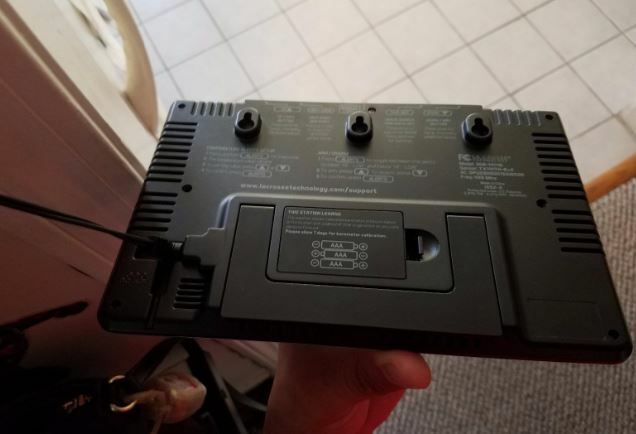 Total power consumption is only 7.5W which is great for people who are trying to do a remote installation powered by a battery. On the display console you’ll find a rather complex layout. Likewise, data can be conveniently viewed through their user app. In both cases, the layout of weather data is essentially identical. Becoming familiar with one interface allows you to become familiar with the other. It takes a couple of minutes to get oriented with all the numbers and charts on the screen. But the graphical interface allows the data to be a little easier on the eyes. For instance, rainfall rate and dew point can be shown visually on a graph. Temperature is accurate to ± 2 degrees Fahrenheit; humidity is accurate within 5%. Getting updates on the wireless connection takes about 16 seconds between samples, while the wind speed sampling occurs once per second. Their app makes it possible to connect with the Ambient Weather Network, which is a free cloud service. In combination with their app, you can access a variety of historical weather data. Additionally, you’re able to control the device using IFTTT, for detailed programmability. For instance, you might have the sensor close your garage once rain starts to fall. And it allows you to connect this weather station alongside voice assistants, like Alexa. The La Crosse Technology 308-1414B isn’t exactly a scientific grade weather station. It’s closer to the kind of thing you’d give as a gift, or something an individual might use to keep an eye on the weather in their neighborhood. But some people are looking for an approachable consumer-grade weather station, and the 308-1414B is aimed at those individuals. The La Crosse station measures 8.3 x 1 x 5.5 inches and weighs about one pound. The unit is wall mountable, and it’s lightweight enough to hang on without necessarily having to use a permanent installation. Aesthetically, you can get the 308-1414B with a black chassis or with a white chassis. Though this is a pretty minor detail, it’s nice to have options. Turning to the display itself, the use of a full color LCD helps it look great. Along the front, there’s a huge array of information which is broken into several different categories. 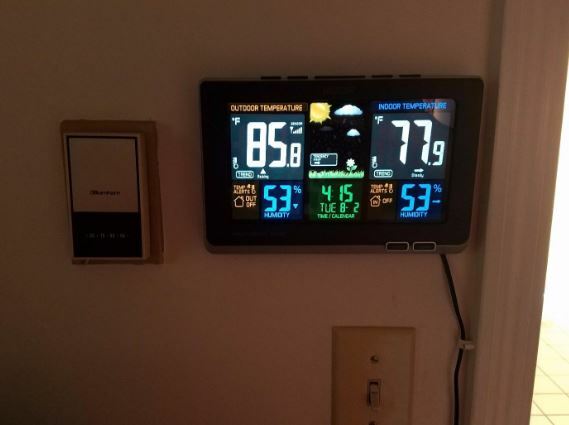 On the left side, you’ll find information about the outdoor temperature, humidity, the inclination of the temperature to increase or drop, and various outdoor temperature alert settings. The center of the display provides you with information about the time with a fully functional calendar, and information about the tendency of the weather. That includes full color weather icons indicating whether it’s sunny, partly sunny, cloudy, rainy, stormy, snowy, and so on. The right portion of the display is dedicated to information about the indoor temperature, including the temperature’s trend, humidity level, and indoor temperature alerts. The bottom of the device has a pair of analogue buttons marked “alerts” and “alarm”, using them allows you to create temperature alerts for you. You have to turn off the screen backlight if you want to get an accurate temperature indoor. The backlight can put off enough heat to have an impact on the indoor temperature. Best to leave it off until you actually want to see a reading. The display is powered with either a 5V AC adapter, or 3 AAA alkaline batteries. No batteries are included, and they’re only necessary as a backup. If you expect this equipment will drop below 20°F, then you’ll need to use Lithium batteries instead of alkaline batteries. The La Crosse Technology 308-1414B was made for someone who’s not a professional meteorologist, and doesn’t need extremely tight accuracy on their measurements. The display is gorgeous, readable, and easy to hang. It keeps you appraised of indoor and outdoor temperature, humidity, and gives you a general picture of where the weather is headed. That makes it a good choice for the average person who wants their own local weather station. 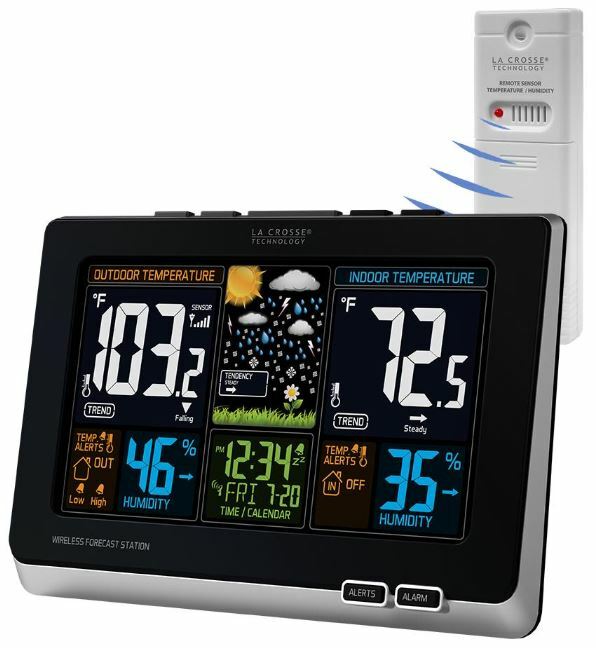 The Ambient Weather WS-1002-WIFI Observer is a full-fledged weather station. It measuring capabilities are nothing short of professional, and its software capabilities are built to match. Its sensors are fantastic, as shown in its higher range of accuracy, and the app is pretty approachable. Whether you’re trying to do something sophisticated or otherwise, this kit provides all the tools necessary. That makes this the best choice for someone who’s looking for a professional grade instrument that can send weather data over Wi-Fi. The AcuRite 01013M is a compromise between the WS-1002-WIFI and the La Crosse Technology 308-1414B. It doesn’t have all the same extensive software capabilities as the WS-1002-WIFI, but it has nearly all the same essential features. That makes it a good choice for someone who isn’t about to become a professional meteorologist, but still wants a weather station with a wide range of different sensors.